With the application of OLED panel in iPhone X, which is start to be sold on Nov. 3rd, the global overall market volume of OLED used in smart phones, TVs, smart watches etc., is 473.8 million pieces, increases 12.3% in 2017. Based on the situation that Apple will enlarge the use of OLED panel in the future and Chinese manufacturers emulate the practice of Apple, it is estimated the global overall market volume of OLED will grow rapidly in 2018, and the number can reach to 635.5 million pieces, increase 34.1%. It attracts many manufacturers like Sharp, JDI, BOE, CSOT, Tianma and so on to invest equipment actively due to the good market prospects of OLED. This above manufacturers will enter OLED panel production during 2019-2020. Except the OLED needs of smart phones, the OLED needs of TV will expand too. So, the global overall market volume of OLED will increase to 1.5366 billion in 2022, it will increase 2.6 times contrast with 2016(422 million). As for as the OLED market of smart phones, even the growth of global smart phones is slow, but because of the appearance of iPhone X, OLED panel output reaches 441 million, increases 10.8% in 2017. Among the OLED output the iPhone X panel is estimated about 60 million. 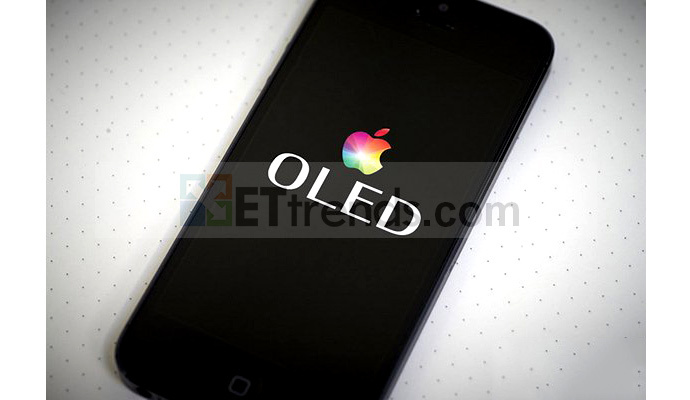 In 2018, it is said two of the three new iPhone models will adopt OLED panel and this will boost the market and the amount can reach about 100 million pieces.